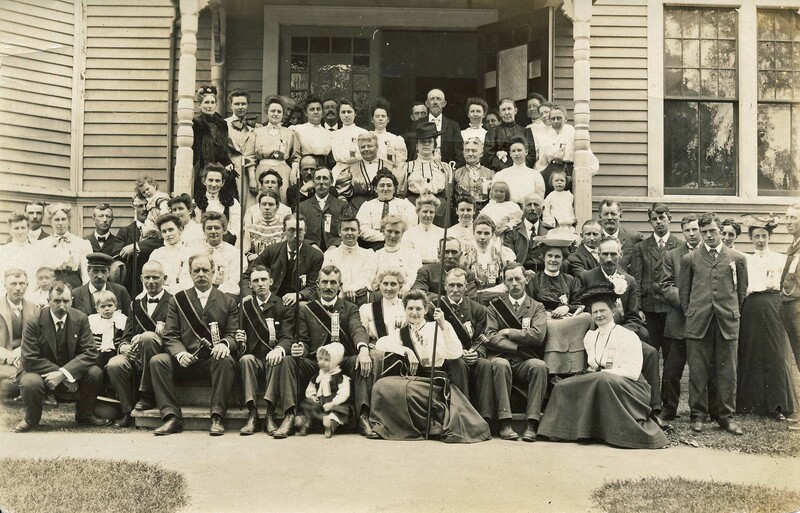 4" x 6 1/2" B/W photograph of members of the Conway Grange posing outside the Center School. Handwritten on reverse: "Grange, Philip Crafts." Unknown, “Conway Grange ,” Conway Historical Society, accessed April 21, 2019, http://conwaymasshistory.org/items/show/987.